Yvonne Jegede, Nollywood actress, Olakunle Abounce Fawole, hitting the rocks. Reports recently revealed that the couple, who had their court and traditional marriage in 2017, ended their union. 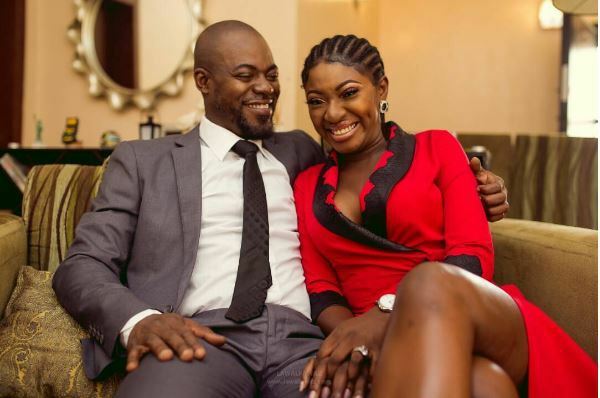 But while confirming this development in an interview with Pulse, the actress said that she had left the union three months after the fact that she was pregnant with her son. She said: “We started having problems before Xavier’s birth, I think I was pregnant when the problems came in. Immediately, the problem happened, there was never a moment there just kept going up and down and it got worse and now we are. “Right now, we do not live together and we do not live as husband and wife, we are not husband and wife and I would say a mutual agreement to separate us.” It did not work, it did not work. The actress however added that her marriage was worth several months.